Kirsty joined Paytons in 2011 as Stan Ginn’s assistant. She then trained with the firm and qualified as a solicitor in 2014. 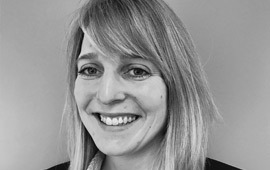 Kirsty specialises in family law, co-habitation and litigation. A country girl at heart, Kirsty can often be found in her garden with a glass of cider. She is a wildlife lover, chicken keeper and amateur bee-keeper – so amateur that she has yet to produce honey. However, Kirsty’s favourite hobby is, and will always be, eating.